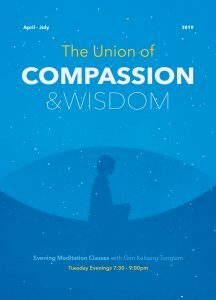 The series of meditation classes reveals the Kadampa way of practicing compassion through the wisdom of emptiness. By relating to the true nature of ourselves and others, we shall find it easy to generate compassion towards those around us, and to those whom we find unpleasant. By using our wisdom to develop and nurture our compassion in this way, we will find the best way to be of real benefit to others, even in the midst of challenging situations. Everyone is welcome to attend these classes. No booking required. Whilst part of a course, each individual class is self-contained so you can join at any time. Donation is appreciated. Suggested Donation : HK $50 – $100 each class. All donations are used to run and develop the Centre and spread Buddha’s precious teachings. 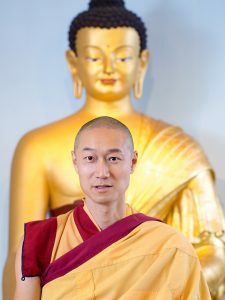 Gen Kelsang Tonglam is the National Spiritual Director of Kadampa Buddhism for East Asia and the Resident Teacher of Kadampa Meditation Centre Hong Kong and Kadampa Meditation Centre Taiwan. 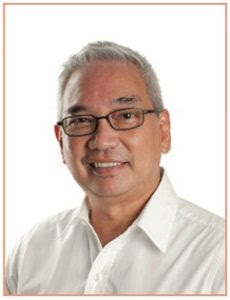 Jun Miranda is the Resident Teacher of Manila Kadampa Buddhist Centre and has been a student of Venerable Geshe Kelsang Gyatso Rinpoche for several years. Jun has a very sincere and practical approach to his teachings.